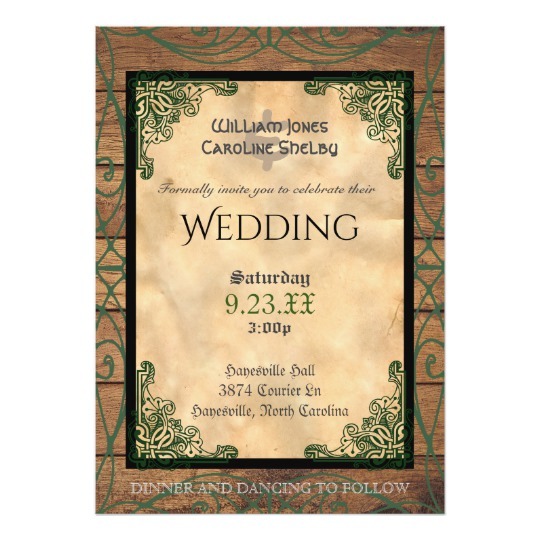 Are you looking for Celtic wedding invitations? Lots of brides and grooms choose to build their wedding around a certain theme, and Celtic or Celtic medieval wedding themes are among the recently popular. 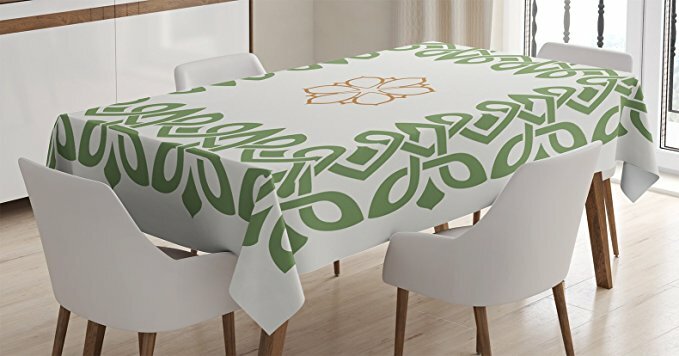 Are you looking for wedding supplies to make your Celtic theme come to life? Read on for ideas. 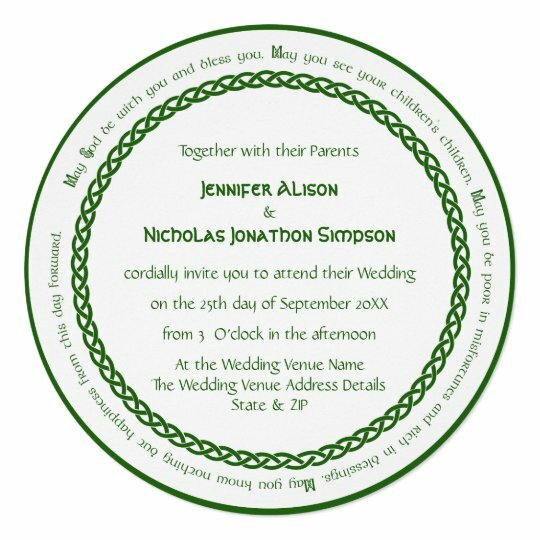 Celtic Wedding Invitations are great but don't forget that you can use other things besides stationery ,such as Celtic Themed wedding invitations, to accentuate your Celtic wedding theme. The clothes you wear, the rings you give and the favors and decorations you choose can all have a nice Celtic or Irish feel to them. 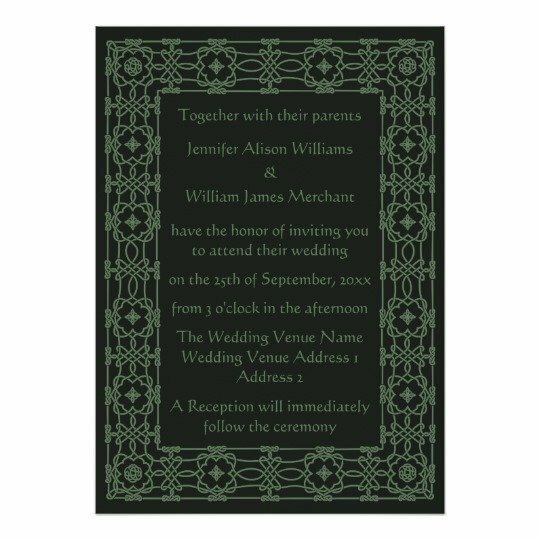 This is a nice basic example of Celtic Wedding Invitations. the black and green together are striking. It is an example of how sometimes the most simple design can be more beautiful than one that is overly cluttered and bold. Are you looking for something with a more rustic feel? The invitation below is beautiful and is full of details. The choice of the script like font is an additional detail that just adds to the whole look. The difference in found sizes also makes it more striking. The color leads to a rustic feel. 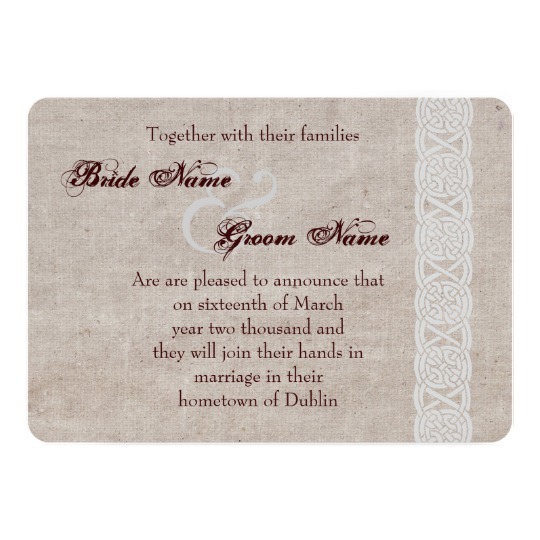 I also like how the color of the wedding date matches the color of the Celtic border. 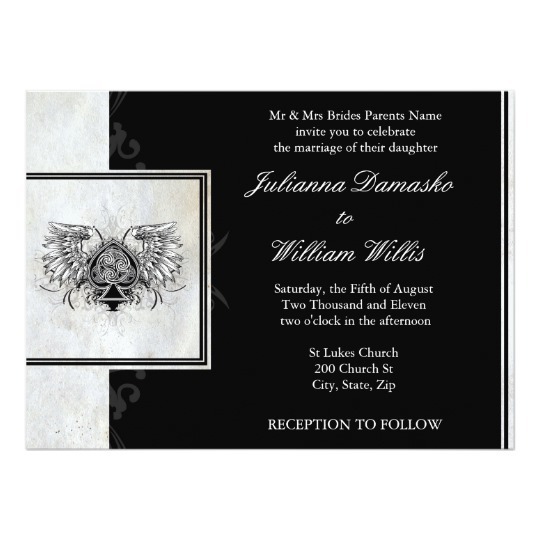 Still not sure what Celtic Wedding Invitation to choose? That is okay - we have plenty more to go! 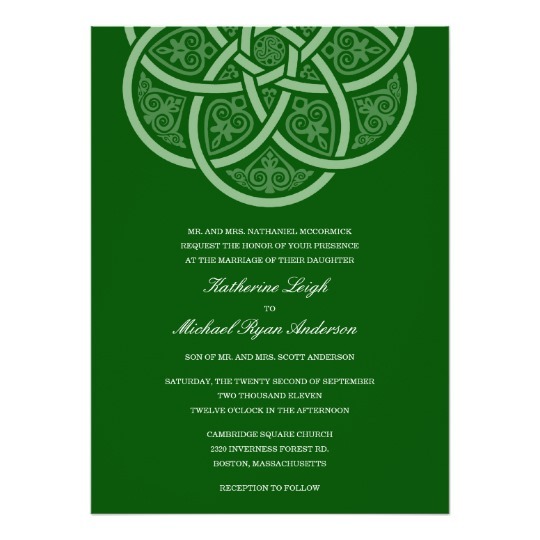 What about this Vintage Celtic Knot wedding invitation? 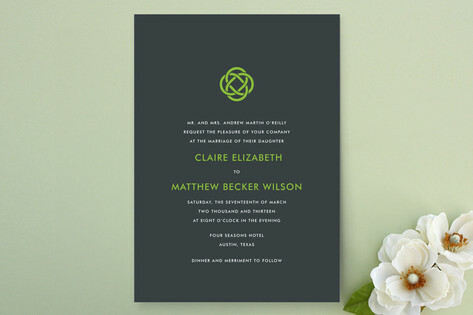 I like the white border around the pale green color of the invitation. Besides those features it has a great celtic knot and the fonts are a combination of bold black and romantic script writing. Looking for something with a little more color or style? Metallic colors are becoming more and more popular and what better color than gold to help make an impression? 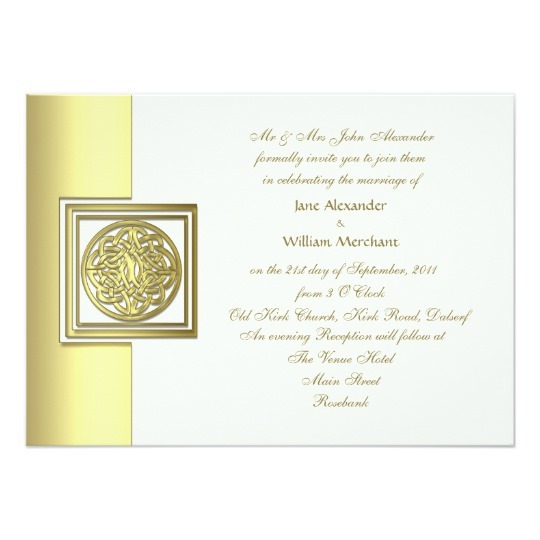 The color scheme is gold and white but the design is still not over the top with a beautiful celtic knot in between the gold stripe and the main white invitation. 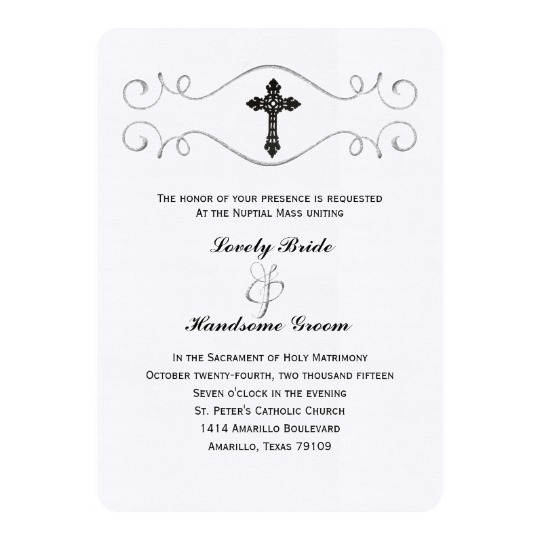 As you can see from the above photos, although Celtic Wedding Invitations are nice, you can also do many things using a Celtic wedding theme. 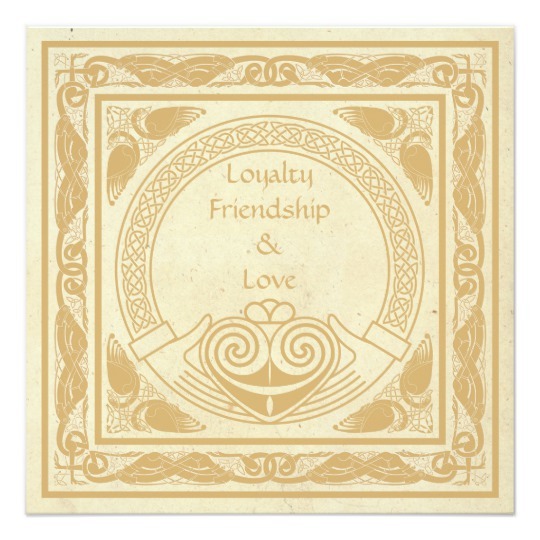 If you want to only use this theme in the stationery, that is fine, but realize their are many ways to celebrate Celtic roots or beliefs in the wedding. 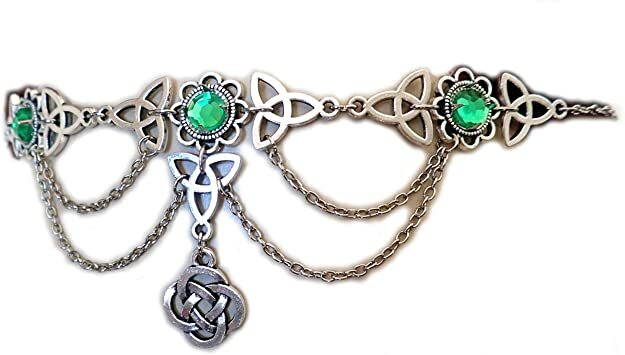 If the bride wants to add more of the Celtic theme to her wedding, one of the easiest ways is with a nice hair accessory. 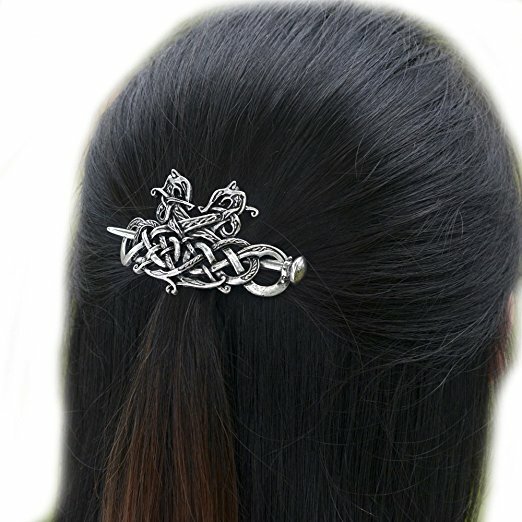 You can see a beautiful Celtic Hair clip below. 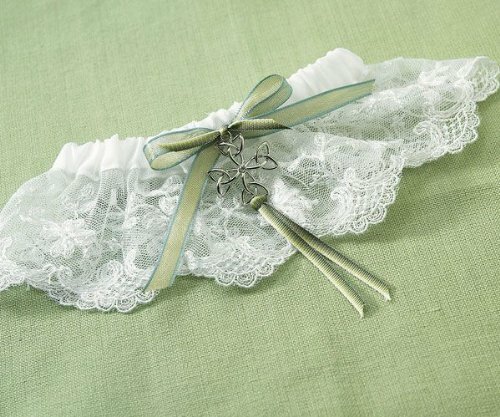 If you like that idea but are set on a veil or tiara, the bridesmaids could also use Celtic hair clips, barrettes or hair combs. 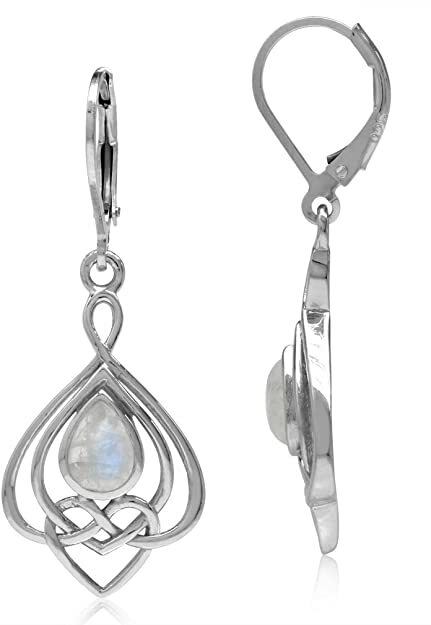 Another great way to add some Celtic spice to the ceremony is through jewelry. This can include necklaces, bracelets, the wedding rings and more. 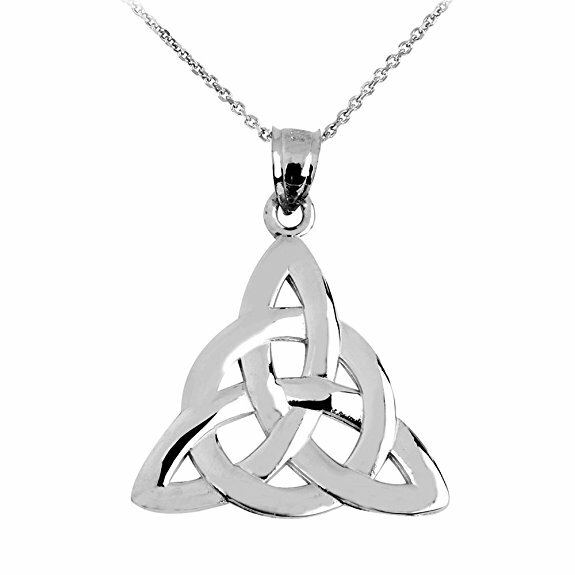 Below we have an example of a simple but stunning Celtic Trinity Necklace the bride would look lovely in! For those brides who are interested in a Tiara or a Tiara / Veil combo, this is a beautiful choose of a Celtic Tiara. It is a simple design made of gold and crystal with a Trinity knot in the center. 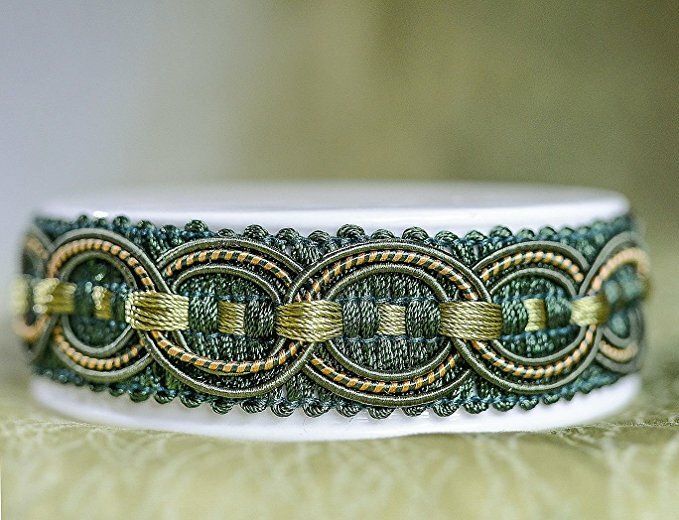 Looking for ways to add the Celtic Wedding Theme other than things you wear? How about the wedding cake. There are many things you can do there - including having your baker design a Celtic wedding cake or Celtic Wedding Cupcakes. We also like this Celtic themed Wedding cake topper base pictured below! Most brides and grooms choose to have a guest book so they can look back in the years that come to all the people who shared their special day with them. 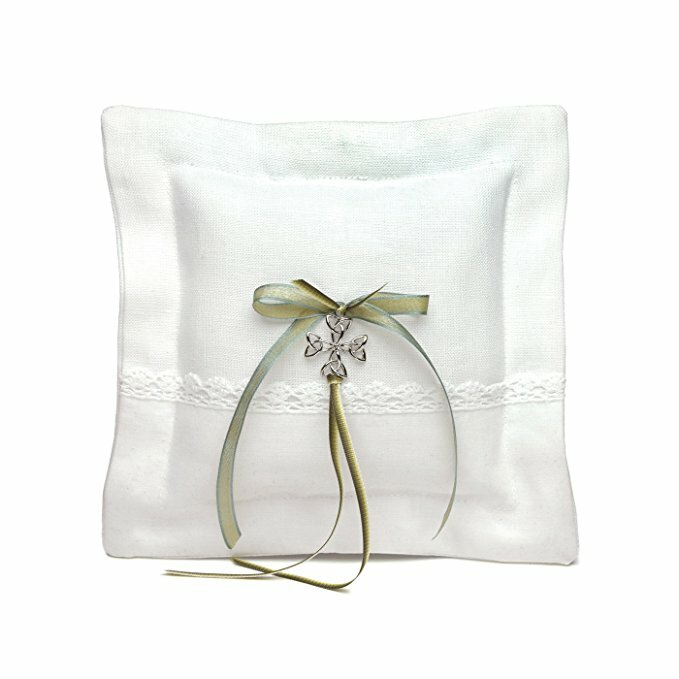 Choosing a Celtic Themed Guest book is a simple way to convey the theme to your guests.